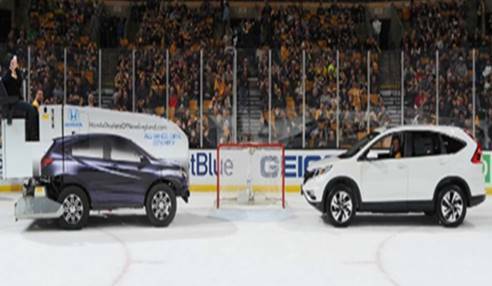 Honda Dealers of New England amped up excitement during hockey and football games by offering a chance to win a new car during their text sweepstakes campaign. Sports fans simply had to text to enter and also had a chance to win VIP tickets and more. This case of a lead-generating text to win was a success for Honda Dealers who were looking to connect with young Millenials in the market. 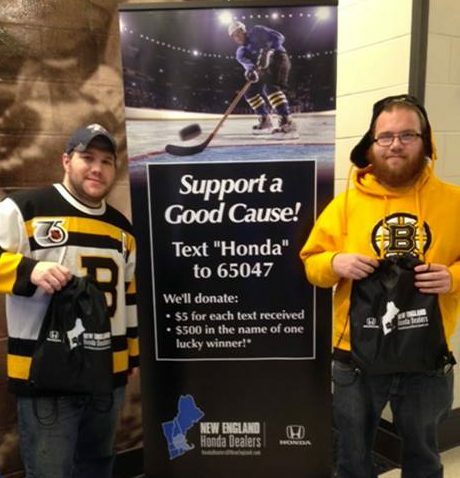 They also supported a charitable organization with a donation for each text received. 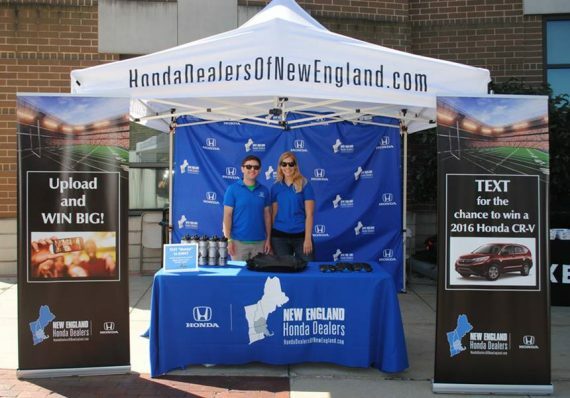 Generate leads for New England Honda Dealers and connect with potential customers. To gain a database of participants to re-market offers via text message and email. Prize: Prizes included t-shirts, VIP tickets at the games and a chance to participate in the on-field throwing event to try to win a Honda. Outcome: More than 1,000 sales leads were generated for the dealerships. To get started with your own text-to-win, see features and pricing. Message & Data Rates May Apply, To opt-out, text "STOP" to 65047.